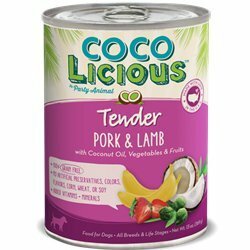 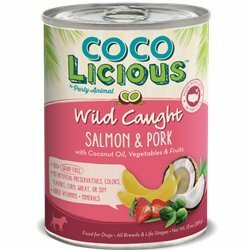 Cocolicious Dry Dog Food is sourced and made in the US with all Natural and USDA Organic ingredients. 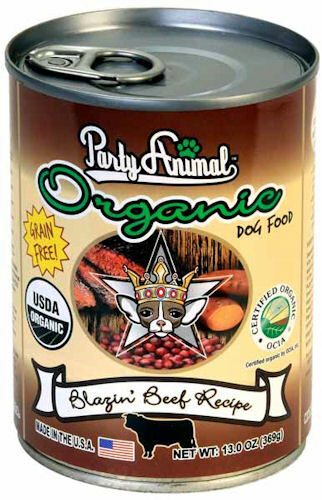 The people at party Animal food for pets take pet health and nutrition seriously. 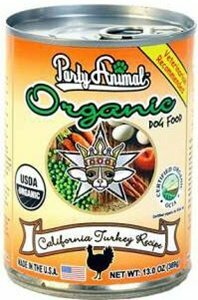 Since 2006, family-owned party Animal has made complete and balanced meals for dogs of all breeds and life stages, handcrafted in small batches using wholesome, high quality ingredients. 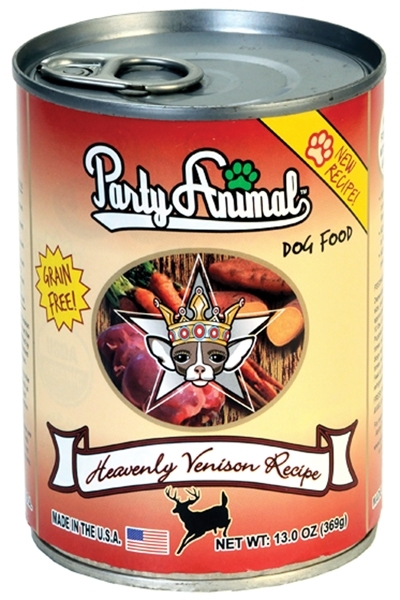 Heavenly Venison Venison with Organic Sweet Potatoes and Carrots At Party Animal, our foods are produced with fresh top-quality poultry, seafood and meats, which provides a healthy source of protein for your pet. 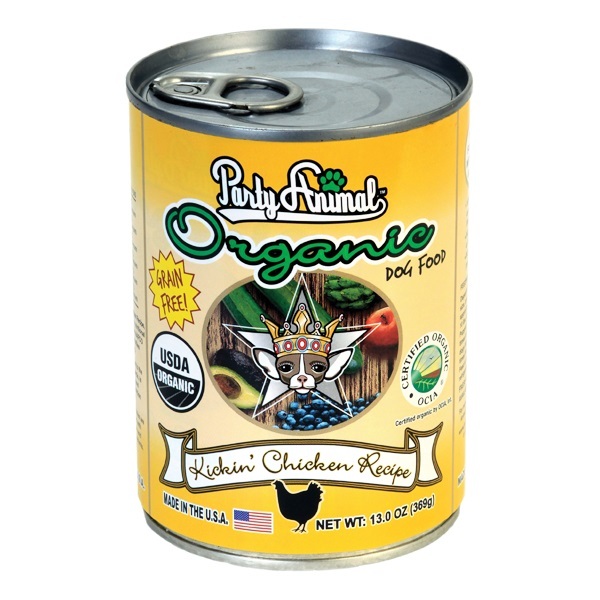 We also use fresh fruits and vegetables such as blueberries, cranberries, zucchini and artichoke to name a few, which are a great source of antioxidants, fiber, vitamins and folic acid. 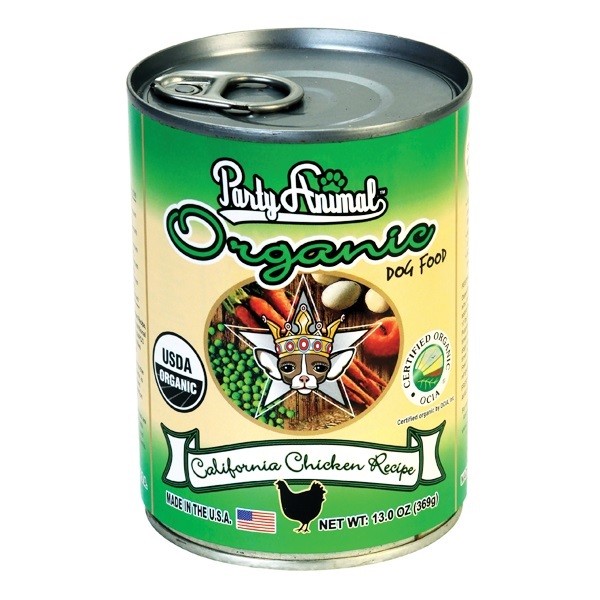 Our company takes pride in producing organic and natural cat food and organic and natural dog food that satisfies the primary health concerns of pet owners: delicious clean nutrition and protection for your pets from exposure to toxins and unhealthy ingredients. 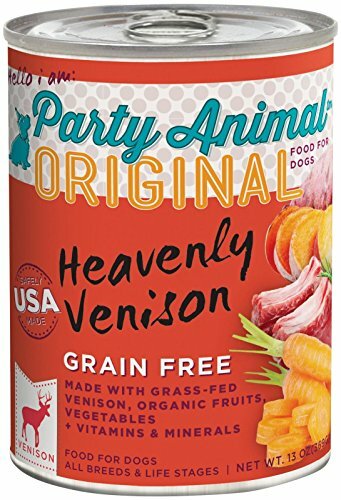 NO Artifical Colors / Flavors NO Chemical Preservatives NO Genetically Modified Products NO Dairy Products NO Wheat Gluten NO Sugar Added NO Corn NO Soy *Made in the USA!!! 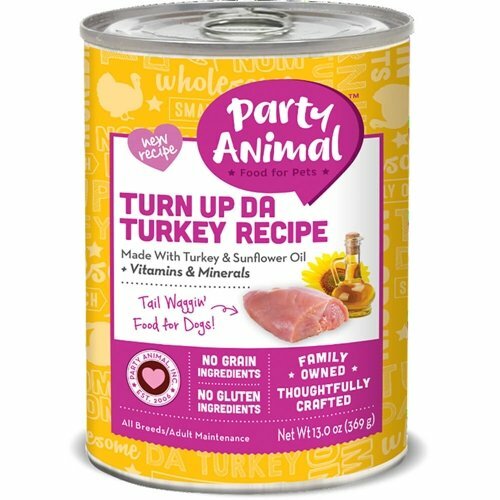 The people at Party Animal Food for Pets take pet health and nutrition seriously. 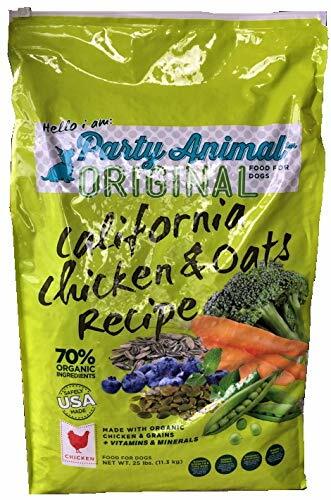 Since 2006, family-owned Party Animal has made complete and balanced mealso for cats of all breeds and life stages, handcrafted in small batches using wholesome, high quality ingredients. 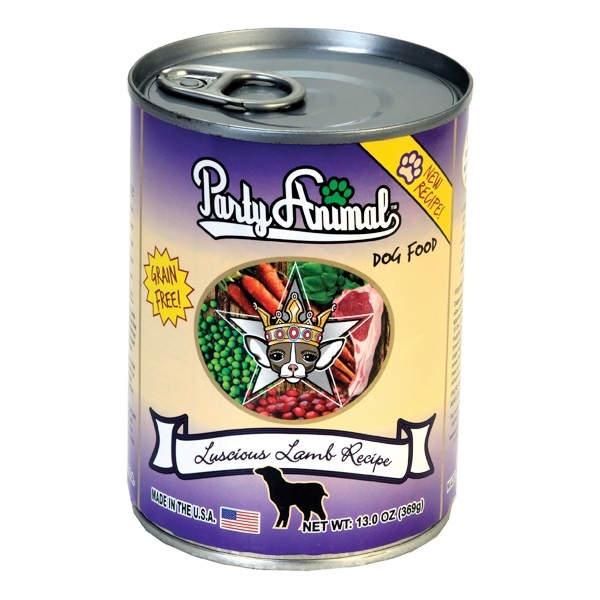 The people at Party Animal Food for Pets take pet health and nutrition seriously. 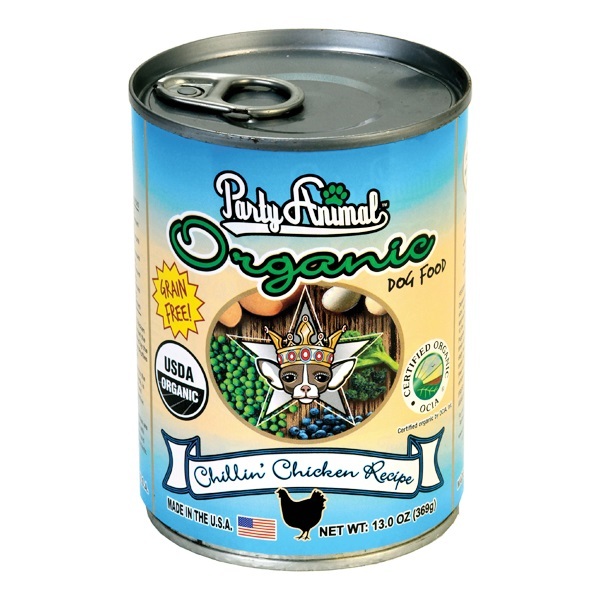 Since 2006, family-owned Party Animal has made complete and balanced meals for dogs of all breeds and life stages, handcrafted in small batches using wholesome, high quality ingredients. 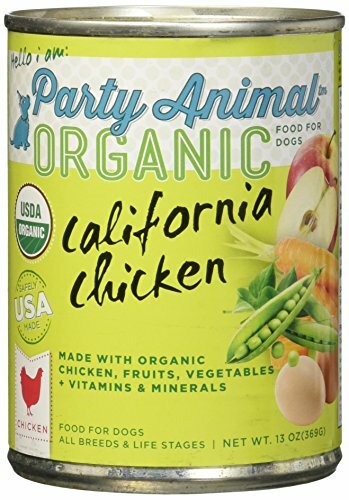 Party Animal Cocolicious Organic Beef & Turkey canned dog food contains organic beef, organic turkey, organic beef broth, organic coconut oil, organic brussels sprouts, organic kale, other organic fruits and vegetables, vitamins and minerals. 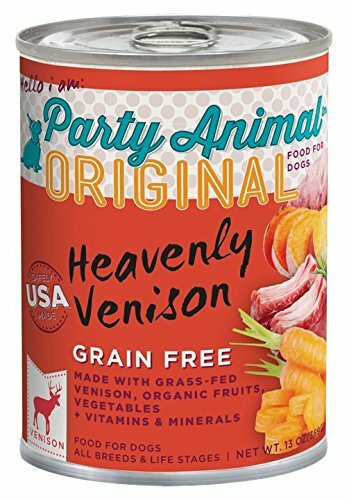 Party Animal Grain Free Gourmet Canned Dog Food adheres to the highest quality standards, is properly balanced and provides sensible nutrition for your dog. 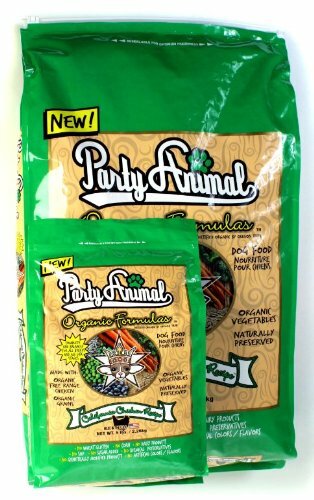 All Party Animal recipes are specially formulated with essential meats, veggies, fruits, 38 different nutrients, vitamins and minerals for a complete and balanced food appropriate for all breeds and life stages! 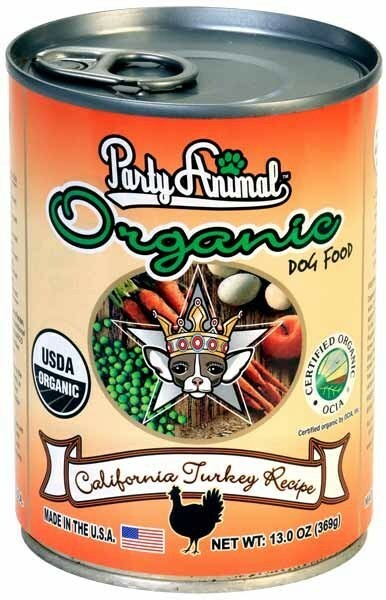 •NO Pesticides or Synthetic Fertilizers •NO Antibiotics or Growth Hormones •NO Bioengineering, GMO's or By-products •NO Artificial Colors, Flavors or Preservatives Help keep your pet feeling young with a powerful mix of vitamins, minerals and antioxidants to promote a strong immune system. 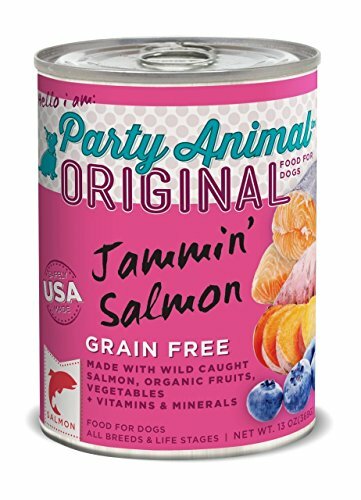 Party Animal Grain Free Gourmet Canned Dog Foods are formulated to help support your pet's natural defenses against the effects of aging, illness, physical and environmental stress. 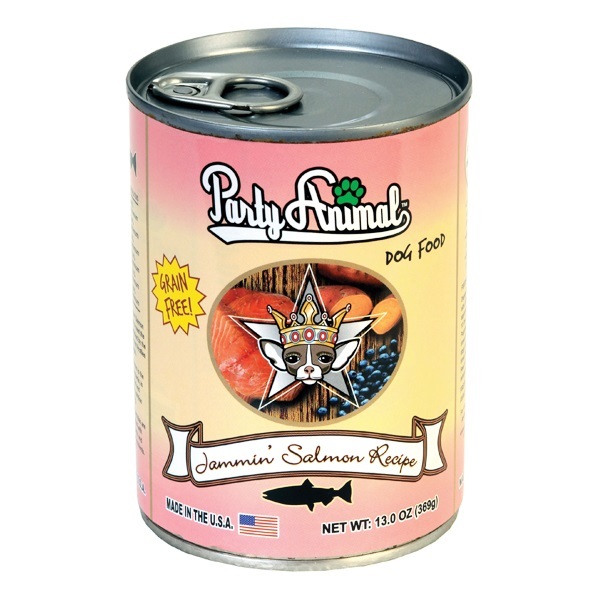 Case of 12 Cans of Jammin Salmon Dog Food (13oz Each). 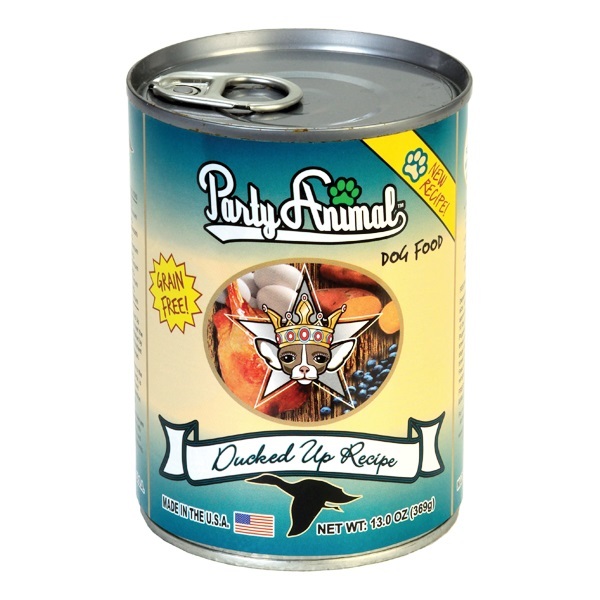 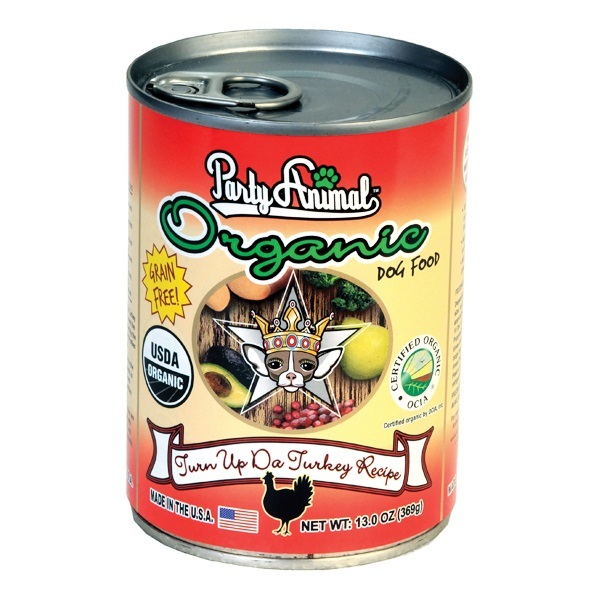 Party Animal Canned Dog Food is sourced and made in the US with all Natural and USDA Organic ingredients. 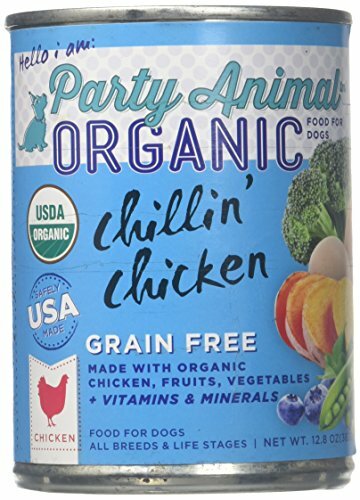 Party Animal's line of dog and cat foods are produced with fresh top-quality poultry, seafood and meats, which provides a healthy source of protein for your pet. 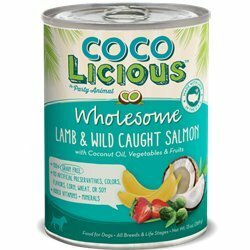 They also use fresh fruits and vegetables such as blueberries, cranberries, zucchini and artichoke to name a few, which are a great source of antioxidants, fiber, vitamins and folic acid. 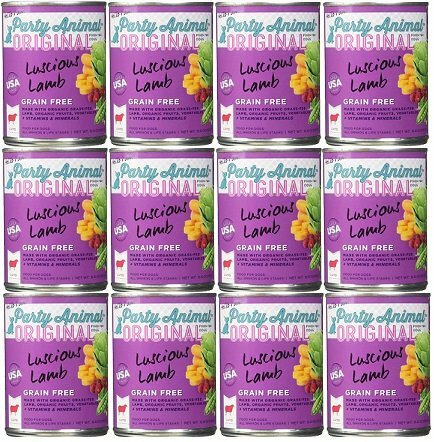 Party Animal's foods are formulated to promote clean nutrition and protection for your pets from exposure to toxins and unhealthy ingredients.